If you’re here, something in your life is causing emotional discomfort— and some part of you senses an invitation to explore your inner and relational worlds with understanding and compassion. Perhaps you are frustrated and exhausted by how anxiety and fear control or limit your life. Obsessive worries, compulsions, insomnia, performance and social fears, and panic diminish your sense of self, stress your interpersonal relationships, limit your hopes, or have caused you to lose trust in your own body and mind. Maybe your life is on hold because of chronic pain or a challenging health condition. Or other unwanted changes—divorce, job loss, death of a loved one, relational conflict—cause despair. You may avoid situations or feelings that stress you or turn to medication or just powering through, but these strategies have costs. Your life becomes smaller, as anxiety and uncertainty grow larger. I encourage you to trust your symptoms as opportunities waiting to be realized. They will lead you to hidden resources; they will nudge you to cultivate a meaningful life. 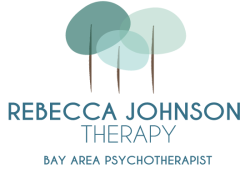 I provide high-quality psychotherapy for adults and adolescents dealing with generalized anxiety, social fears, OCD, specific phobias, panic, and perfectionism. I also assist individuals, couples, and families in life transitions, including adjustment to relational stress, loss, health and chronic pain syndromes, and serious mental health diagnosis in a loved one. I offer practical, customized recovery strategies within a strongly holistic framework. Whenever possible, I use methods research has shown to be effective, drawing heavily on Cognitive Behavioral Therapy (CBT), Exposure and Response Prevention (ERP), and Acceptance and Commitment Therapy (ACT). These complementary methods are well-researched and are known to be effective. When it’s a good fit, I use mindfulness-based techniques to support emotional balance. By working together, you will learn to notice and manage unhelpful self-talk, mistaken beliefs, and unworkable behaviors that increase anxiety and prevent you from living the life you want. In therapy, you can narrow the gap between the facts of your life and what you envision is possible for yourself, expanding your freedom of choice, flexibility, and self-acceptance. You will have a safe place to explore questions of identity, meaning, values, and commitment—with the aim of gaining a larger sense of purpose and creating your own preferred life.